Wood Group's history is quite short - less than 30 years, but meteoric! I have attached a brief history but essentially Wood Group evolved from a family fishing business in Aberdeen. Wood Group's founder, Sir Ian Wood, had a vision of how Aberdeen in the 70s could learn from Houston and become a major service centre for the newly discovered oil & gas in the North Sea. 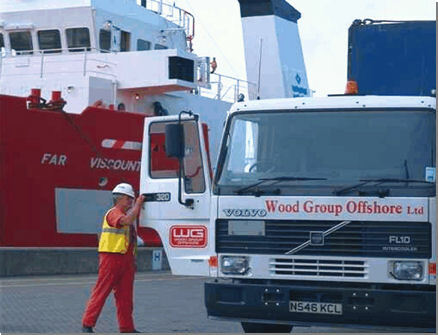 Wood Group broke away from the family fishing business in the early 80s and became a service company to the oil & gas and power industries, and is today an international energy services company employing 16,000 people in 40 countries and a turnover of US$2.8bn. As you know Scotland's engineers are world-renowned and many generations of Scottish engineers have changed the face of our modern world. Wood Group is helping to take Scottish expertise global and bring international expertise back to the UK. Wood Group is a people-business built on old fashioned values of good service, hard work and robust business ethics but it's also dynamic and an exciting place to work. From its 19th century roots in the Scottish fishing industry, the Wood family’s business has developed into a global energy services company employing 14,000 people in 36 countries, with sales of $2.2billion. The Wood family’s fishing business began in the 1890s when the family owned a number of fishing boats operating out of the port of Aberdeen in North East Scotland. In 1912 William Wood (grandfather of Sir Ian Wood, chairman and CEO of Wood Group) founded Wood & Davidson, a ship repairing and marine engineering firm to service the fishing fleet. He had seven sons and the youngest, John Wood (Sir Ian Wood’s father), took over the family’s share in the early 1950s. In 1964 John Wood bought out the other shareholders and became chairman – the company had 50 employees and a turnover of £50,000. In 1964 Ian Wood joined the business, now named John Wood & Son, and the marine base was expanded into fishing, fish processing and general marine engineering. 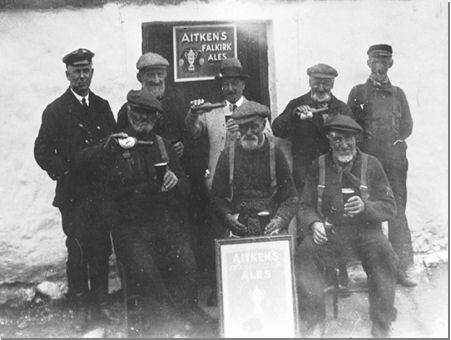 At that time Aberdeen was a major deep-sea trawler port and their 23-strong fleet was playing an important role. Ian Wood became managing director in 1967 and under his leadership the company switched from the bigger trawlers to more profitable inshore boats and was the largest independent Trawler Owners in Scotland. During the 1970s Scotland’s new industry, North Sea oil presented an ideal opportunity to translate marine engineering experience into engineering and support services and by the end of the 1970s The John Wood Group (Aberdeen) had become one of the largest private industrial companies in Scotland, employing 1750 and with a turnover of £18 million. The evolution began back in 1970 when the Group really began to appreciate the huge potential of the recently discovered North Sea oil and took advantage of the new-found opportunities. Ian Wood visited Houston in 1972 and realised the potential for Aberdeen to become a mini-Houston, a centre for oil technology. The development into North Sea oil engineering work was a major challenge for the Group and required considerable capital expenditure for the modification of premises, the re-training of skills and recruitment of new staff. The company gradually extended its ship repairing activities beginning with the acquisition of John Lewis & Sons Ltd in 1972 for £1 million, another of Aberdeen’s largest industrial complexes, and the seeds of its engineering business were sown. Early in 1973 an alliance was formed with the Glasgow-based Weir Group of companies and Wood-Weir Engineering Services Ltd was established. Operating in Aberdeen, in one of the best-equipped and most versatile oil engineering workshops in the North of Scotland, engineering staff were recruited and trained in specialist oil field servicing techniques. Further engineering developments included the formation of Offshore Platforms Maintenance (Scotland) Ltd specialising in the maintenance requirements of offshore platforms and the formation of John Wood Group Electrical Engineering Ltd specialising in electrical servicing and communications. In June 1975 the first UK offshore oil was produced from the Argyll field and the first oil from the Brent field followed on the 11th November 1976 - one of the keys to unlocking the North Sea’s riches to the great benefit of the UK economy. The Brent field gave Wood Group its first major offshore contract. It was decided in 1981 to split the oil service business away from the family’s fishing business and on January 4th 1982 two independent businesses were set up – John Wood Group, focusing on engineering, oilfield logistics & supplies and drilling services, and J W Holdings, the largest fishing company in Scotland. In 1982 John Wood Group announced a turnover of £59 million. Throughout the 1980s there was steady development of Wood Group’s North Sea business, both onshore and offshore. In 1986 it formed a joint venture with Ferranti Offshore Systems to acquire a 51% shareholding in Foster Wheeler Petroleum Development and Associates Ltd. 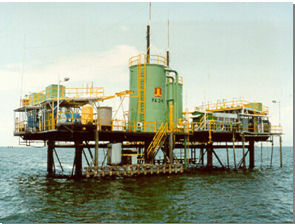 In 1987 Foster Wheeler Wood Group Engineering (60% owned) carried out the West Sole Modifications Project for BP, one of the largest projects of its time. By 1989 it was the UK’s largest indigenous oil service company and a world leader in the overhaul and repair of industrial gas turbines, employing 2,000 people. Profits had trebled over the previous three years and the Group began to grow organicially and with acquisitions. During the 1990s the Group expanded its international oil & gas activities and extended internationally with many strategic acquisitions. In 1991 the Group was employing 2,500 and operating in the North Sea, Europe, North America and the Middle East and declared profits of £16.9million and by 1999 more than 5,500 people were employed in 25 countries and profits were up to £33.6million. In 1990 the Group formed a joint venture company with Rolls-Royce plc extending overhaul and repair capability to include the RB211 and Olympus engines. Then in 1993 J P Kenny was acquired, with its world-renowned pipeline and subsea capability, and enhanced the Group’s life-of-field capability and positioned us for forthcoming marginal field developments. Wood-Way’s pump and overhaul and maintenance activities were merged with Sulzer’s pumpcare to create a new company, Sulzer Wood. In 1994 the acquisition of GTC Gas Turbine in Dundee gave the Group a capability in heavy industrial gas turbine component repair and then in 1997 the Group formed a 50/50 joint venture with TransCanada PipeLines Ltd, the largest pipeline company in the world outside Russia, called TransCanada Turbines Ltd. Such partners are a testament to the Group’s determination to achieve the highest standards of quality and customer dedication. A market leader in the North Sea - Early in the 1990s long-term partnering arrangements were developed with a number of major clients including the MMSC for Shell UK and full responsibility for the maintenance and modifications on the Brent Charlie and Brent Delta platforms. During the late 1990s Wood Group Engineering (North Sea) became a market leader in the North Sea providing integrated engineering, operations and maintenance services to BP, Shell, Talisman, Amerada Hess, BG, Enterprise Oil and ChevronTexaco. 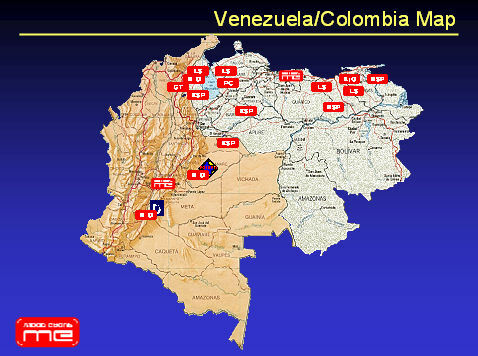 In June 1998 another Wood Group managed joint venture, SIMCO, started operations on a 16-year contract for PDVSA in Venezuela. This innovative contract was an opportunity for Wood Group to combine its engineering and production facilities and gas turbines services expertise in one contract. In the late 1990s Houston, Texas was identified as a particularly important market for Wood Group’s engineering business, as a significant proportion of worldwide deepwater engineering contracts were anticipated to be awarded from there. The Group acquired Mustang Engineering, a market leader in the provision of deepwater process facility engineering services, and Alliance Engineering, specialising in lightweight topsides facilities. By 2000 the Group declared revenues had exceeded $1billion for the first time and in 2002 the Group carried out a successful IPO on the London Stock Exchange. Today Wood Group is an international energy services company with more than $2.2 billion sales, employing more than 14,000 people worldwide and operating in 36 countries. The Group’s three complementary businesses - Engineering & Production Facilities, Well Support, and Gas Turbine Services - provide a range of engineering, production support, maintenance management and industrial gas turbine overhaul and repair services to the oil & gas, and power generation industries worldwide. We are able to combine our worldwide experience and knowledge of oil & gas industry best practice to provide the most appropriate solution to customers worldwide. Born and educated in Aberdeen, Sir Ian Wood attended Robert Gordon's College before graduating from Aberdeen University in 1964 with a first-class honours degree in psychology. He then joined the family business, John Wood & Son, and became managing director in 1967. As well as his commitment to the Group, Sir Ian holds many appointments within the UK including joint Chairman of the Oil and Gas Industry Leadership Team and member of PILOT (joint Government/ Oil & Gas Industry initiative). In December 2000 he retired as Chairman of Scottish Enterprise and as Chairman of the British Trade International Oil and Gas Export Board (previously OSO). He received the award for Young Scottish Businessman of the Year in 1979, was awarded the CBE (Commander of the Order of the British Empire) in 1982 in the New Year's Honours List, awarded an Honorary Degree of LL.D from Aberdeen University in 1984 and was awarded a Knighthood in the 1994 New Year's Honours List. In 1998 he was awarded an Honorary Degree of DBA from Robert Gordon University in Aberdeen. He was a joint winner of Scottish Business Achievement Award Trust in 1992; winner of the Service category award in the 1992 Corporate Elite Leadership Awards; received a Scotvec Fellowship Award in 1994 and Scottish Qualifications Authority Fellowship in 1997, and was awarded The Alick Buchanan-Smith Memorial Award for Personal Achievement in 1995. Sir Ian also received the Corporate Elite "World Player" Award from the Business Insider in 1996. In 1998 he was made a Fellow of the Chartered Institute of Bankers; in March 2000 he was elected a fellow of the Royal Society of Edinburgh and, in the year 2001, he received the Business Ambassador for Scotland Award from the Scottish Business Insider. In 2002 he was awarded the degree of Doctor of Technology from Glasgow Caledonian University. I hope that helps introduce us! Sir Ian Wood admits that his company ‘got its feet wet’ last year but, finds Valerie Darroch, he remains upbeat. IN a nation where world-class business heroes are in short supply, the rangy figure of energy services entrepreneur Sir Ian Wood stands tall. Creating a global operation with revenues of more than $2 billion (£1.07bn) from a modest Scottish family fishing business with half a dozen ships is no mean feat. After decades of growth at the Wood Group whose 14,000 employees now span 36 countries, it is tempting to believe that success has become easy and that the man at the helm can walk on water. But Sir Ian, a down-to-earth Aberdonian, who recently presided over the company’s second fall in profits since flotation in 2002, is probably the least likely Scottish business leader to succumb to notions of invincibility. Taking a company from private ownership to the full glare of public scrutiny on the stock market is a tough task for any founding chief executive, especially one whose vision, intellect and energy has played such a huge part in charting the direction. For Sir Ian, the initial transition was a smooth one – the IPO in 2002 was seven times oversubscribed – and Wood’s enviable growth record looked unshakeable. But 2004 brought a rude awakening, as earnings (before interest tax and amortisation) tumbled 15% to $117 million (£63m), largely due to difficulties in its gas turbines division and lower volumes in the deepwater engineering market. Wood says his senior management team has worked hard to tackle problem areas, notably gas turbines (now under the leadership of deputy chief executive Allister Langlands) and he is confident of a return to acceptable growth in 2005. Sir Ian says Langlands has taken a number of steps to cut costs, increase efficiency, focus on high-tech component repair contracts and extend long-term maintenance agreements. “We moved into that market when the Enron issue changed its status overnight from believing there was an under-supply to an over-supply. I believe last year is the bottom [for gas turbines],” he says. Sir Ian adds that staff morale remains high, despite the dip in profits last year. Wood, which has developed a global reputation for creating innovative technical and engineering solutions, made an investment and capital spend of $131m (£70.2m) in 2004, up from $99.6m (£53.4m) in 2003, as part of its efforts to enhance products and services. Wood Group had a range of private equity backers, including prominent Scottish institutional investors, long before its IPO and Sir Ian says this paved the way for the transition to public company status. “We’ve had institutional shareholders since 1981, so [flotation] wasn’t as traumatic a change as it might have been if we had just been a purely private company,” he says. Some of Wood Group’s long- standing backers, which included Aberdeen Asset Management, made as much as 25 times their original stake when the company floated on the London stock market in June 2002. Growth rocketed in the decade running up to the IPO, with revenue doubling from just under $400m in 1993, to $800m by 1997, shooting through the $1bn in 2001 and passing $2bn in 2004. Although the North Sea remains a key market for Wood, in the past few years there has been a gradual reduction in the proportion of revenue derived from that area, which now stands at less than 25% of total sales, reflecting growth in earnings from other oil provinces. As joint chairman of the UK’s oil industry leadership team, Sir Ian is a passionate advocate of the need to prolong the productive life of the UK continental shelf (UKCS). He is adamant that, with the right kind of incentive and risk-sharing agreements in place, significant new finds can be made, particularly in new areas such as west of Shetland. He recently gave a presentation to the trade and energy ministers entitled “A tale of two futures”, one being rapid decline of the UKCS with 40% of the infrastructure decommissioned by 2020 and game over effectively by 2030. The upbeat alternative is an extended life scenario where production continues to 2050 or beyond and at least another 28 billion barrels of oil are produced. For this to happen, Sir Ian says operators must invest in exploration and production; contractors must improve efficiency to contain unit costs; there must be more outsourcing; more adoption of new technology; skilled staff must be retained and recruited; and government must minimise regulation and maintain fiscal stability. He argues that the prize for maximising recovery is “staggering”. “The difference between the high 28 billion [barrels of oil equivalent per day] and low 14 million at $40 a barrel represents $560bn of economic value to the UK,” Sir Ian says. An outspoken character, he got angry back in the 1970s when local people in Aberdeen were fearful of what US oil companies might do to them instead of figuring out how they could get a slice of the action for themselves. Back in 1979, Sir Ian shocked his father by spending the equivalent of the cost of one and a half fishing vessels to mount a lavish stand at an oil exhibition. It was a typically prescient action, demonstrating his ability to anticipate change and plan accordingly. He inspires a strong loyalty among his workforce and is as comfortable chatting to staff in Aberdeen in his old cardigan as he is addressing workers in his shirt-sleeves in Caracas or Houston. With a first-class degree in psychology, he is adept at reading people and warns of the insidious effect on recruitment of continually referring to the North Sea as a sunset industry, which he warns is “damaging and potentially self-fulfilling”. He believes the industry has to do more to attract new recruits and says in future they may come from other nations as the global competition for human capital hots up, particularly China which turns out two million engineering graduates every year. “You can see that as a threat or an opportunity; we see it as an opportunity,” he says. “There is a significant resource shortage right now. Some companies are not bidding for contracts right now on the basis they have not got the people,” warns Sir Ian. In an industry where the average age of workers is roughly 50, grooming the next generation of leaders is important. Sir Ian says that at Wood Group, succession plans are in place. This summer marks Sir Ian’s 63rd birthday, and he remains committed to steering the group until he is 65. “I won’t become a 70-year-old Scottish chairman,” he promises. For now, his vision remains global and his appetite to grow the business he created, undiminished. Details: Energy Minister, Malcolm Wicks MP, and key oil and gas industry leaders joined together at a dinner at Lancaster House in London to recognise and thank Sir Ian Wood, chairman and managing director of Wood Group, for his contribution to industry on the occasion of Sir Ian stepping down from his role on the PILOT forum. Mr Wicks hosted the dinner in his role as the current chairman of PILOT. Industry was represented by its current members of PILOT and some distinguished past members including Francis Gugen, ex managing director of Amerada Hess and now chairman of CH4 Energy, Syd Fudge, former chief executive of Kvaerner Oil and Gas and Malcolm Brinded, executive director of exploration and production and Tom Botts, executive vice president - Europe, for Shell International Exploration and Production, as well as Alan Jones, formerly head of BP operations in the UK. PILOT is chaired by the energy minister and brings the government and industry together to help strengthen the North Sea's position as a key centre for exploration, development and production, against fierce competition from other oil and gas provinces around the world. 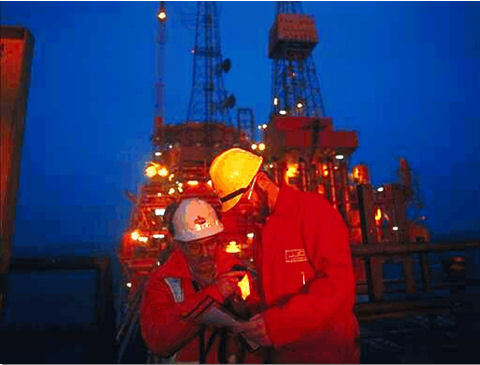 · The UK to be the safest place to work in the oil and gas industry world wide. Sir Ian has co-chaired the ILT (Industry Leadership Team) since it was created six years ago. ILT is the industry side of PILOT and includes high-level representatives from operators, contractors, SMEs and the trade unions. Tom Smith, managing director of the Aberdeen-based international telecommunications specialist company Nessco Ltd will now take the role as co-chair of ILT along with Dave Blackwood, director of BP's North Sea business.